Current representative: The current representative for the 17th District is Rep. Joseph Bellino (R-Monroe). The district includes the cities of Monroe, Flat Rock and Rockwood, according to the House Democrats. 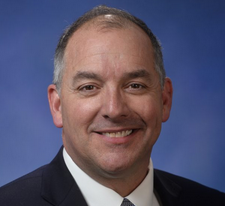 Bellino was first elected to the Michigan House in 2016, taking office in 2017. According to his official House biography, Bellino has owned and operated Broadway Market for 18 years. He previosuly worked in his family's beer and wine distributorship. Bellino serves as vice chair of the House Regulatory Reform Committee and a member of the Energy Policy, Natural Resources and Insurance committees. Rep. Bellino raises money through a candidate committee, Committee to Elect Joe Bellino.